It’s August and we are celebrating, because August brings with it a very special day: International Youth Day. Celebrated every year on August 12, International Youth Day recognizes the world’s youth as essential partners in driving global progress and change, and raising awareness of the challenges they face. This International Youth Day, we’re taking the opportunity to honor young people, who, especially in this century, are not afraid to stand up for what they believe in and achieve the unachievable. Alexandria Lafci is one of these young individuals. 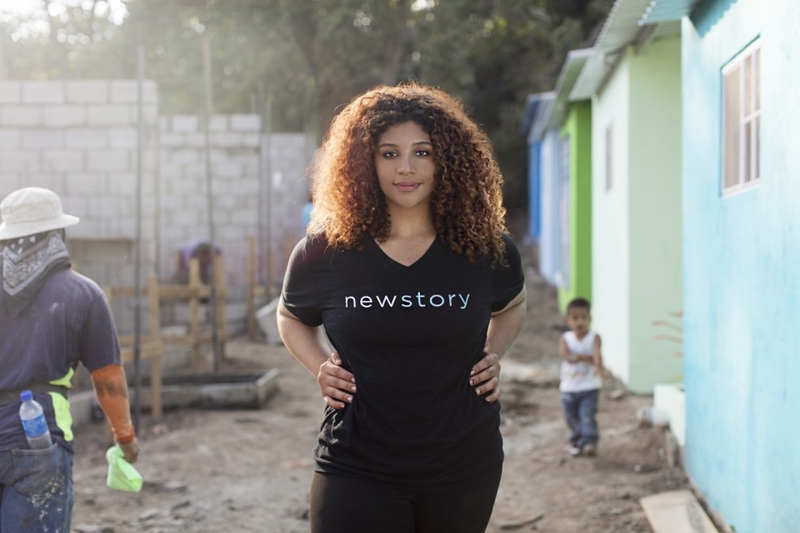 As the Co-Founder of New Story, an innovative NGO that transforms slums into sustainable communities, Alexandria has not only shattered the glass ceiling by being listed in Forbes 30 Under 30, but she’s also impacted thousands of lives. Her journey in this work started from hearing stories of her mother, who grew up in the foster care system in the U.S. Additionally, her perspective changed when she saw the impact of homelessness on young children while she was working for Teach For America. New Story is the light at the end of the tunnel for many people in need. It provides them with houses that are relatively cheap to build and opens a new chapter in their lives . Let’s dive a little bit deeper into how this organization is driving change by bringing an example of the impact that has been made in Haiti. It does not create one-off homes. Instead, it builds communities and centers urban planning around schools, play areas, and income opportunities. Alexandria proves that age is not an obstacle to chase your dreams and accomplish your goals. Moreover, she shows that success is not permanent – it is ongoing, as she is transforming the home building industry. The key to her success was the true passion to help those in need. And, as we can see, that passion is leaving its huge impact on the lives of thousands.